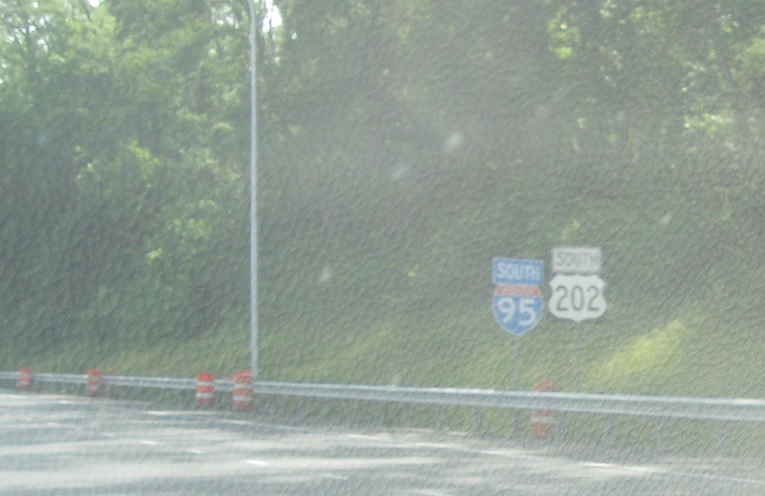 Reassurance shield as US-202 joins I-95 and we enter Wilmington. 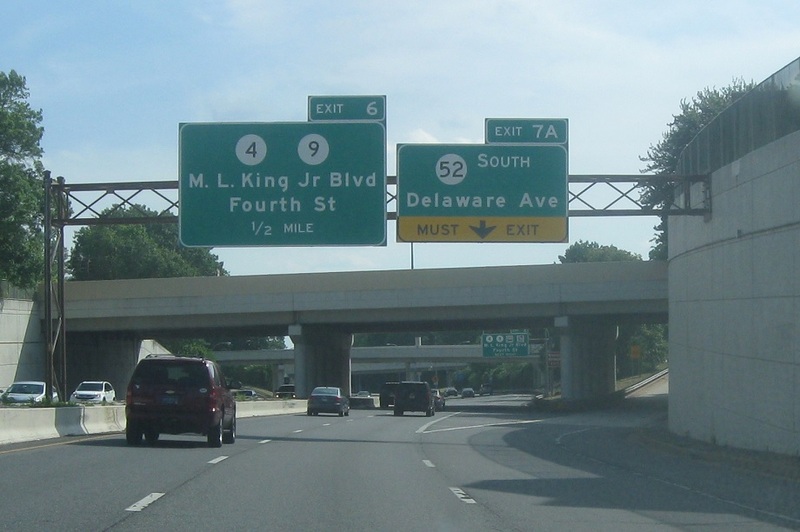 Just after that, we’ll approach the Jackson St exit, which connects to DE 52 and Delaware Ave.
Exit right to head TO DE 52. 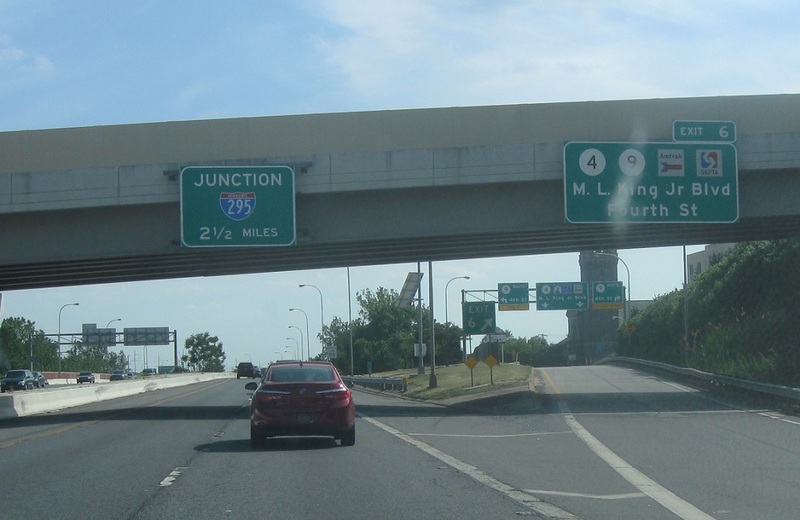 Exit for Jackson St to DE 52/Delaware Avenue north. 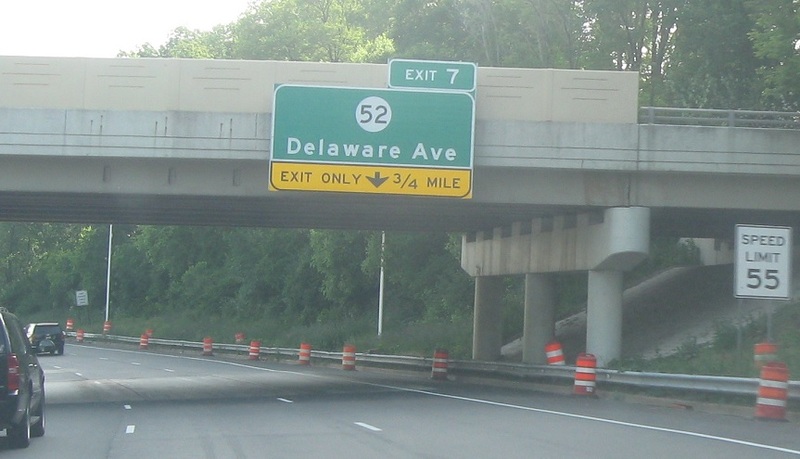 Exit for 11th St to DE 52 south. 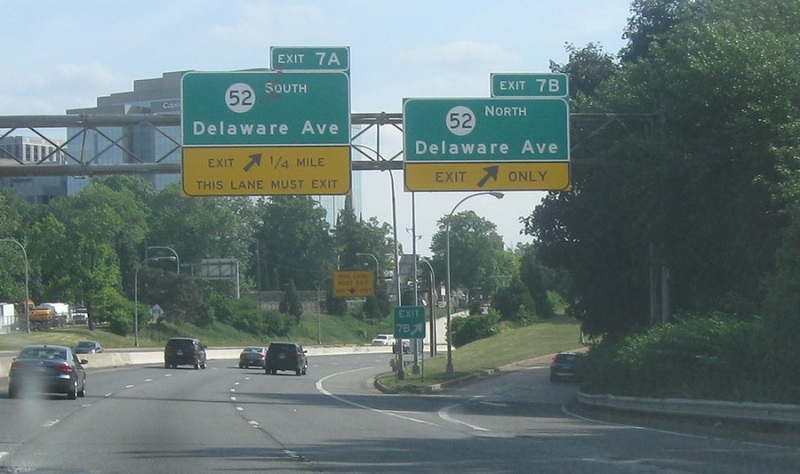 Junction Delaware 9, which connects to DE 4, coming up in half a mile. 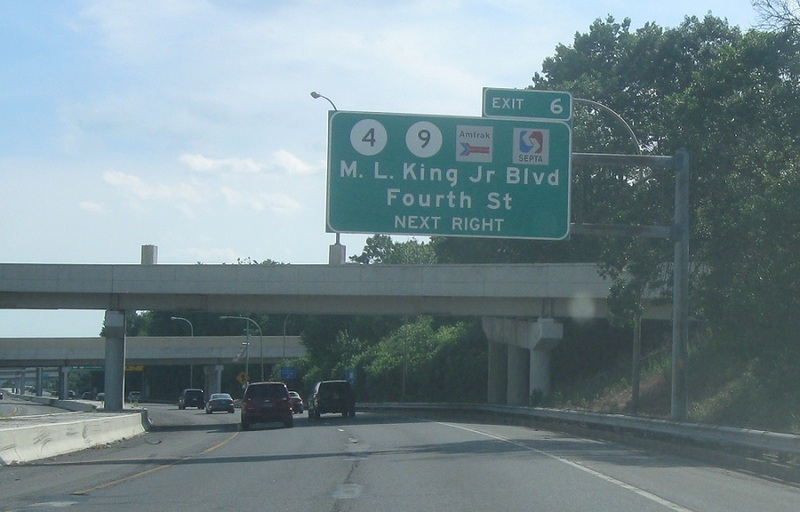 Keep right for DE 9, which heads to DE 4 and MLK Blvd. 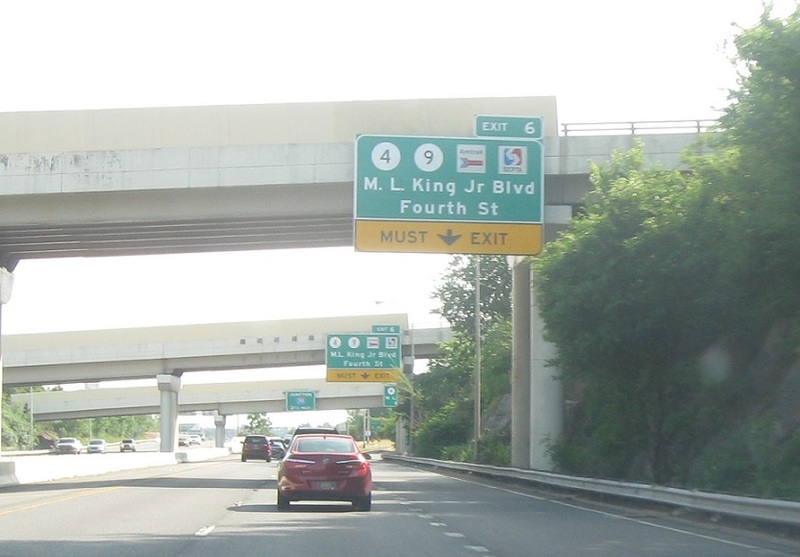 Exit for DE 9/4th St to DE 4/MLK Blvd. 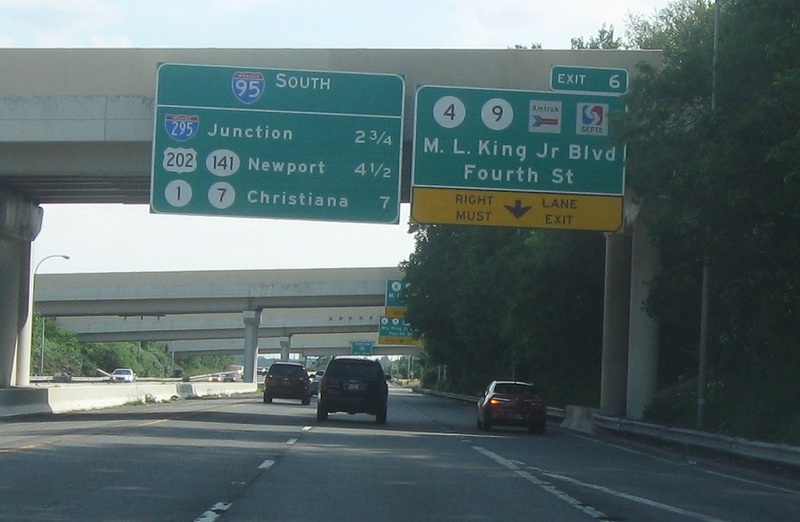 2.75 miles to I-295, 4.5 miles to US-202/DE 141, and 7 miles to DE 1/DE 7. 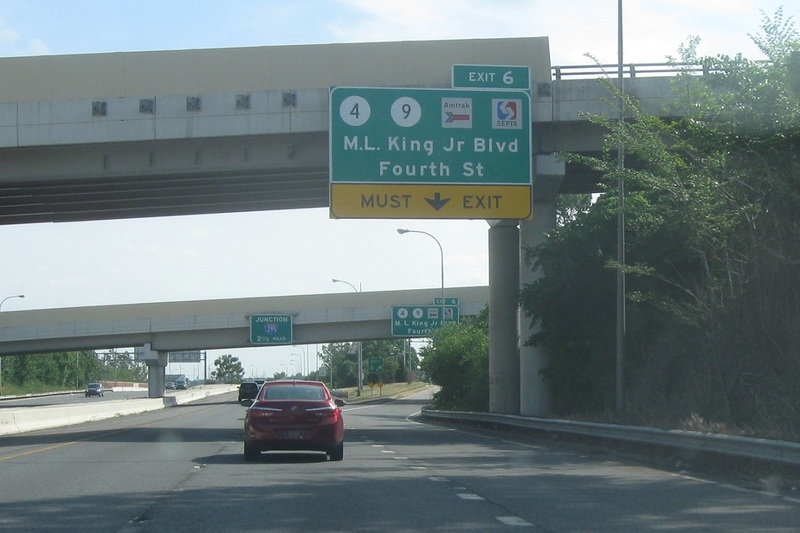 Exit for DE 9 to DE 4. 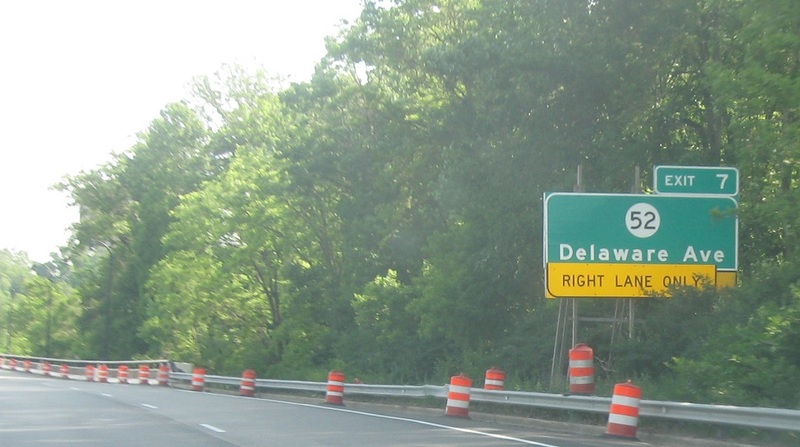 2.5 miles to Interstate 295/Delaware Memorial Bridge.